In its fourth year, Eat ADK, the Adirondacks’ restaurant week, has expanded to include more restaurants, culinary events; and special pricing at participating hotels. 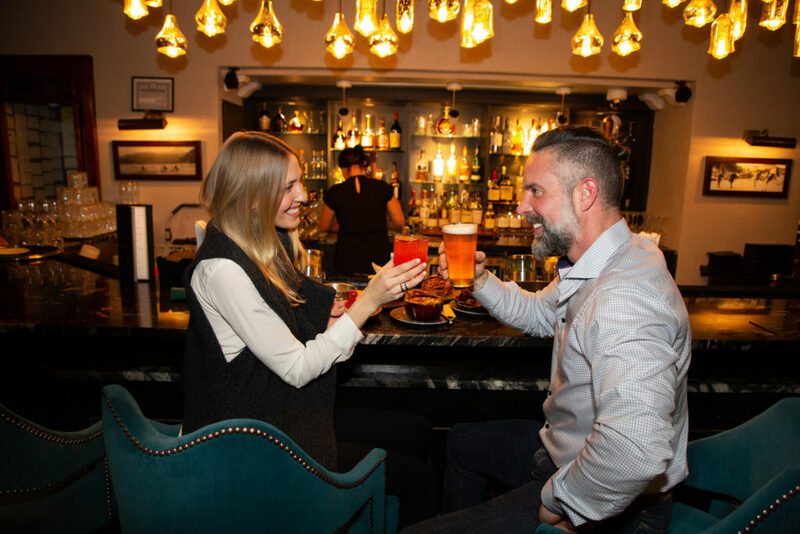 Adirondacks, USA – During EAT ADK, an eight-day celebration of culinary exploration, participating restaurants, pubs and bistros will be offering multiple course menus at fixed prices. EAT ADK is also full of food and beverage related events such as “dinner and a movie” at the Palace Theatre and the Lake Placid Center for the Arts in Lake Placid and the State Theater in Tupper Lake; live music at area bars and restaurants; wine appreciation and culinary classes; and wine and whiskey tastings. Some area hotels will offer special packages to those looking to extend their stay in the Adirondacks. Details and a complete schedule of events is forthcoming and will be found at eatadk.com. With 45 participating dining establishments, residents and visitors can look forward to sampling the best dishes at discounted prices. 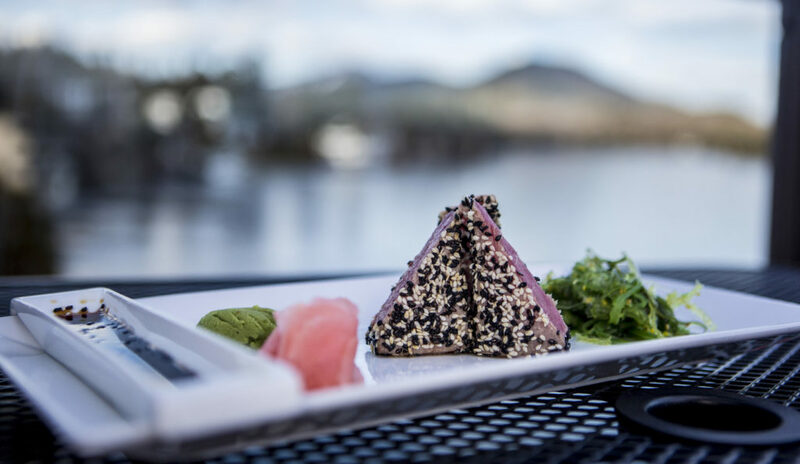 Visit the Adirondack communities of Lake Placid, Long Lake, Saranac Lake, Tupper Lake, and Wilmington where restaurants will be offering special prix fixe menus with pricing options of $15, $20 and $30. This year’s event highlights both established restaurants as well as recently-opened enterprises. “The Adirondacks offer diverse, world class dining and accommodations that attract visitors all year long,” said James McKenna, CEO of the Regional Office of Sustainable Tourism (ROOST). Along with celebrating Adirondack cuisine, the event also strives to help local families who need food assistance. Those participating in EAT ADK are encouraged to bring prepared wrapped food or snacks that would be appropriate for school-aged children. The items will be distributed to area public schools that have a backpack program. The backpack programs helps alleviate child hunger by discreetly providing hungry children with backpacks full of nutritious and easy-to-prepare food on Friday afternoons so they have food to eat throughout the weekend. 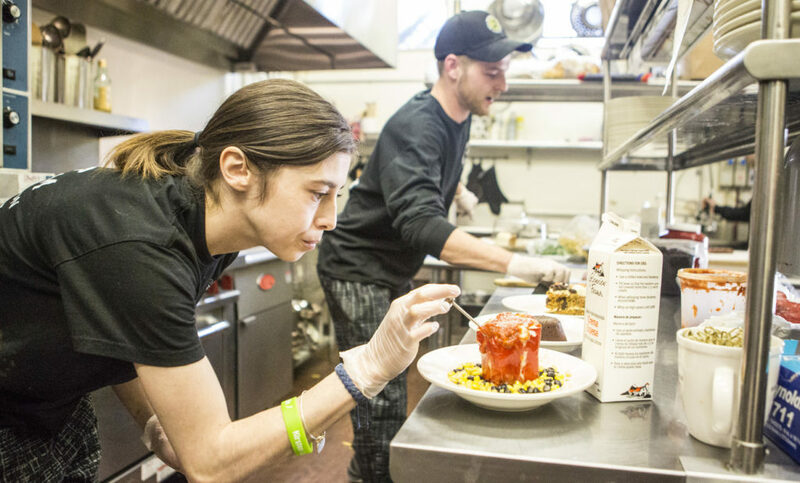 The idea for an Adirondack restaurant week was hatched at Paul Smith’s College, a four-year college in the Adirondacks with robust culinary and hospitality programs. In 2015, Professor Joe Conto, the Director of the Hotel, Resort, and Tourism Management Program, along with ten students from Paul Smith’s College Field Studies in Hospitality class led by Professor Kelly Cerialo, worked with Professor Conto, and the EAT ADK Volunteer Committee. Paul Smith’s College is now a proud sponsor of EAT ADK Restaurant Week. Students and faculty from the college continue to work closely with the restaurant week committee to organize this exciting event. For continuous updates and additions to EAT ADK, visit eatadk.com.